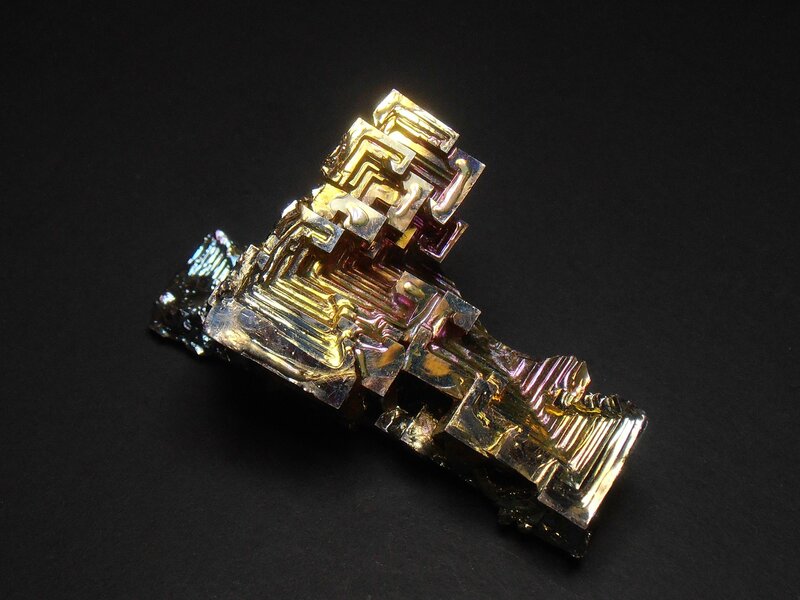 These bismuth crystals are from Germany. Bismuth is a native, metal, element (Bi) whose crystals are rarely found in nature. 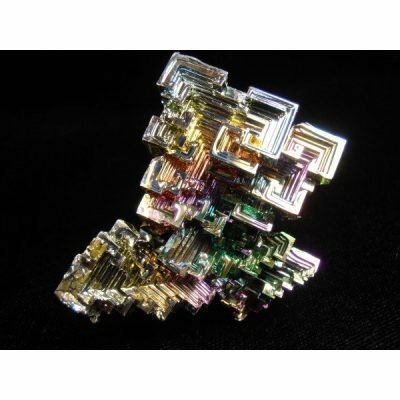 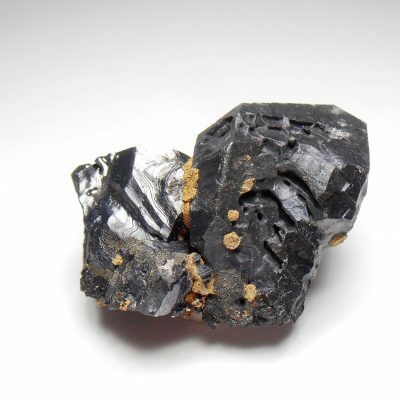 The crystal form of Bi is uncommon and natural crystals are usually granular or small in size. 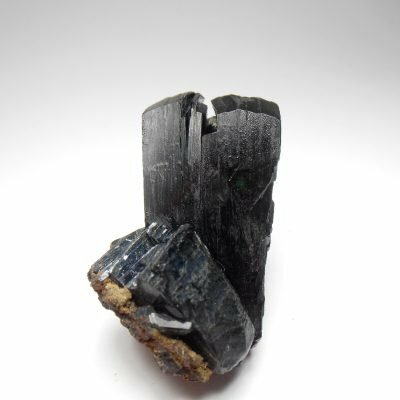 Impressive large crystals, like these, can be grown under laboratory conditions using a centrifugal process. 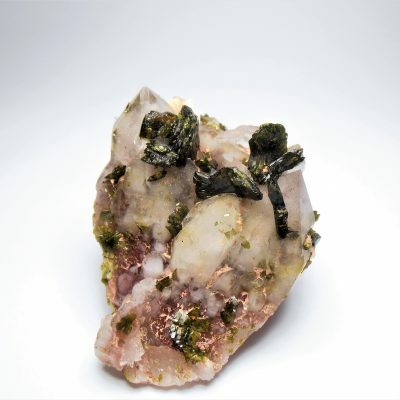 This is a cluster that contains stacked and hoppered crystals.They have a brilliant iridescence and a mirror metallic luster. 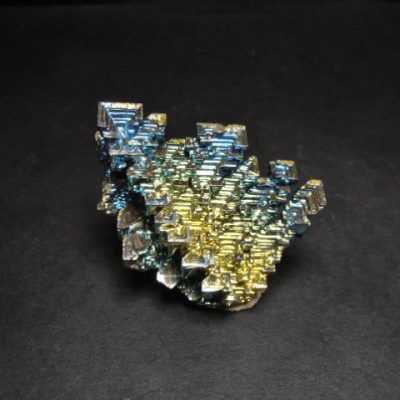 This piece can be displayed from all sides and it measures 2 x 1 x 1 inches or 50 x 25 x 25 mm.